With the number of companies increasing gradually, various problems concerning the housing sector cropped up requiring early solution. At this stage it was necessary to form a trade association of the Real Estate developers to protect the overall interests of the sector. 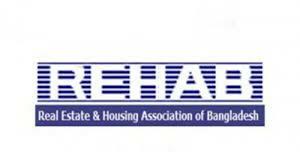 To strengthen the role of real estate sector Real Estate & Housing Association of Bangladesh (REHAB) was formed with only 11 members in 1991. The objective of REHAB was to promote formal private sector Real Estate Development in Bangladesh. REHAB is the only trade organization of Real Estate Developers with a current membership of 145 Developers. All major institutionalized Developers are members of this organization. REHAB is also the “A Class” member of the Federation of Bangladesh Chambers of Commerce and Industry (FBCCI). In the recent years REHAB has played a very significant role in nation building through Real Estate Development by its members. The members of REHAB contribute a large amount of revenue to the Government exchequer in terms of Registration Cost, Income Tax and Utility Service Charges. REHAB organizes its most colorful annual event REHAB Housing Fair each year in Bangladesh for the member developers, financial institutions and building material providers. It has already successfully completed three Housing Fairs during 2001, 2002 & 2003 at Dhaka Sheraton Hotel Complex. To foster the growth of Real Estate Sector REHAB plans to organize Housing Fair abroad for the Bangladeshi individuals who are living different countries of the World to buy apartment, land and commercial spaces in their home country. Accordingly, the first – ever Housing Fair abroad organized by REHAB on August 2004 at Quality Hotel Hempstead, 80 Clinton Street, New York, USA. No of Plot units Delivered by the Developer per year : 4000-5000 unit . d. Management Official : 14000 nos. d. Direct Labour Skilled & unskilled : 1.5 million (15 Lacs ).